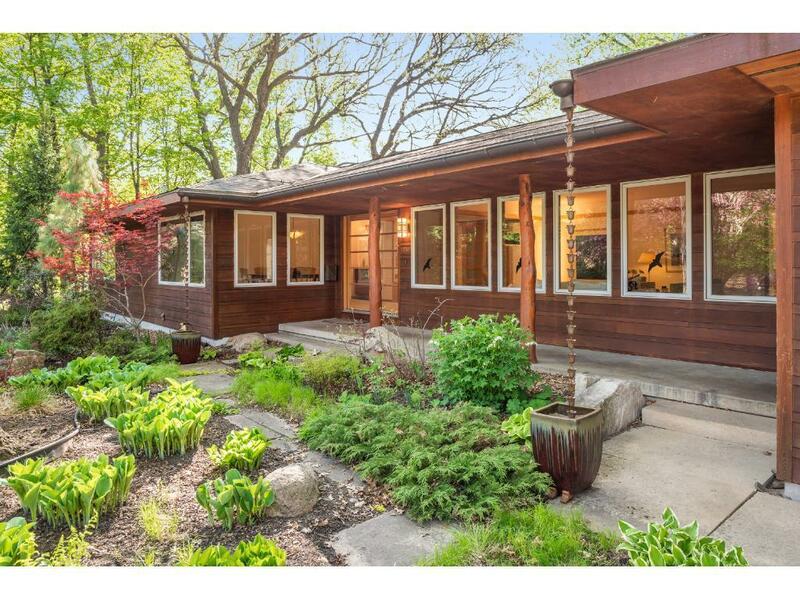 Welcome to this spectacular mid-century modern rambler on gorgeous one acre site in high demand Lake Forest. This one level walkout home offers gracious entertaining spacious, modern updates and light filled rooms. Private cul-de-sac on wooded lot. Gazebo in the back is the perfect retreat while enjoying the privacy and nature in your backyard oasis. Access the Cedar Lake Trail direct from your backyard. Just minutes to downtown Minneapolis and a short walk to Cedar Lake.